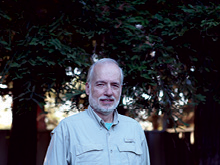 Rob DeGraff has led community improvement projects on the west coast for over 30 years. He developed progressive policies to address a wide variety of public issues in Portland, Oregon. After retiring to SLO in 2008, he sought opportunities to utilize his professional expertise and passion for the outdoors. As the Vice President for Public Policy at the Association for Portland Progress (APP), Rob was responsible for the development of the organization’s positions on a wide variety of public policy issues, including transportation, business development, housing, public safety and human services. He staffed APP’s involvement in light rail planning, salmon recovery, statewide transportation funding, and local code issues such as system development charges and parking regulations. Rob also worked on policy development surrounding street youth and services to the chronically mentally ill, and he helped oversee Portland’s successful business improvement district (BID) “Downtown Clean & Safe”. While serving as APP’s Public Safety Director, Rob led the organization’s crime prevention program and helped earn national recognition for its programs. During his career in downtown management, Rob consulted for various major business associations, managed a successful revitalization project in Southeast Portland, and served as the Oregon Department of Transportation’s Project Director on the Columbia River Crossing. His volunteer activities include leadership on the Oregon Investment Board, Metropolitan Youth Commission, Youth Today, Inc., and Lower Nehalem Community Trust. Rob has a B.A. in Sociology from the University of Oregon and a J.D. from Northwestern School of Law at Lewis and Clark College. He was admitted to the Oregon State Bar in 1978 and has published various policy articles. An avid outdoorsman and keen photographer, you are likely to see Rob on nearby trails accompanied by his wife Mary. Rob and Mary live in San Luis Obispo and have been active Land Conservancy volunteers since 2010.